Some notorious cultists have been nabbed by the security operatives during initiation in Abia. 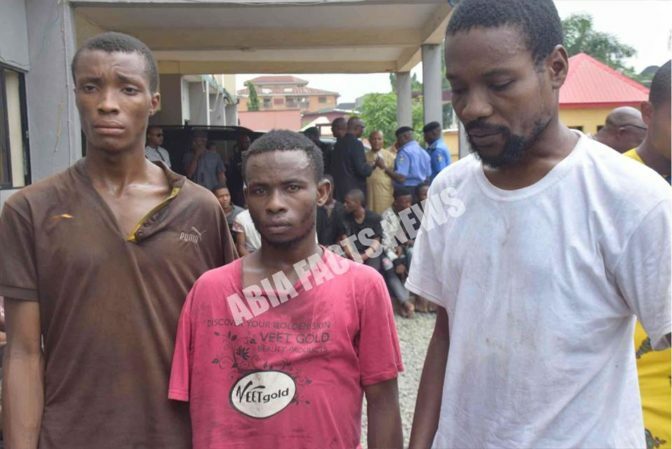 Men of the Abia state police command said on Monday that at least 51 suspects were arrested in the past two months in connection with kidnapping, armed robbery, cultism, car snatching and other violent crimes in the state. While parading the suspects who were arrested for crimes ranging from armed robbery to kidnapping, car theft and cultism, the Commissioner of Police in the state, Mr E. Ene Okon, fdc, who replaced the former police commissioner AIG Chris Okey Ezike (Rtd) said “I have therefore come with tremendous goodwill, open mind, willingness to work and partner all Abia citizens/residents to ensure we make Abia state safer, more secured, better and prosperous. He told newsmen that the conclusion of the polls threw up fresh security challenges in Abia with an upsurge in crime, especially armed robbery, kidnapping and car snatching, among others. Okon said that jobless youths, who were engaged as political thugs during the polls, “now realised that there is no more job for them and have returned to the trenches. “Immediately after the polls, we swung into action because if we fail to do anything, the situation will escalate,” he said. He said that the list of the command’s achievements included the rescue of Mrs Onyekaozuru Kalu, the mother of Nigeria’s international footballer, Samuel Kalu, who was kidnapped in Aba. He said that the Inspector-General of Police Response Team and the Abayi Divisional surveillance team arrested the suspected leader of the gang, one Chibuike Sunday. 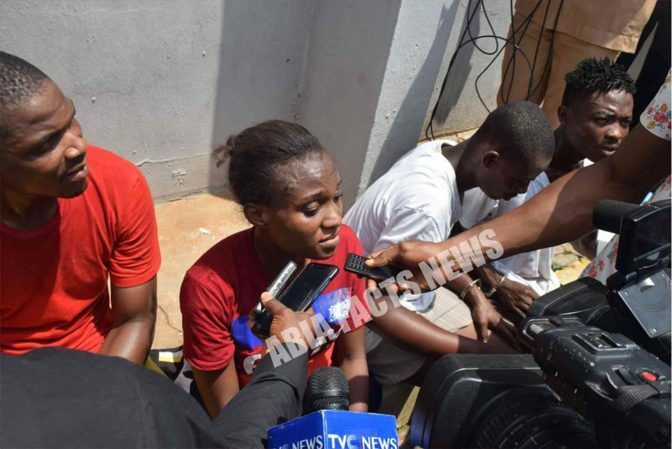 The police chief said that Sunday had confessed to the crime and other similar “kidnap exploits in Aba metropolis.” He said that the command was making efforts to track down other members of the gang still at large. Also paraded were suspected cultists who were at the venue of initiation arrested by operatives of the command’s Crack squad – who were acting on tip-off, at the one Presidential Lodge, situated at Ezinne Theresa Avenue around Government College Umuahia. The suspects; Mgboji Orji, Okechukwu Emmanuel, Daniel Nkata, Kalu Victor, Uguru Joseph Robbert, Nkata Daniel Okoro The suspects were found in possession of one locally made pistol with one live cartridge in a bag belonging to Mgboji, Nine empty bottles of Lord Dry Gin, Laptops and several phones, a traveling bag belonging to Daniel Nkata. The suspects – according to the police, are being investigated and upon conclusion of investigation will be handed over to the court for prosecution.